Any kind of financial transactions will require them to have Aadhar Card or Pan card or both, further they need to comply with various Indian laws like Income Tax, FEMA (Foreign Exchange Management Act), SEBI and Companies Act. The income earned by Non-Resident Indians (NRIs) abroad is not subject to tax in India. However, if your income in India from any source crosses the basic exemption limit of Rs. 2.5 lakh, you are required to file your Income Tax Return. 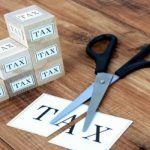 If your income is below the threshold limit and there has been TDS deducted, then you are obligated by law to file your tax return even if there is no further tax liability. 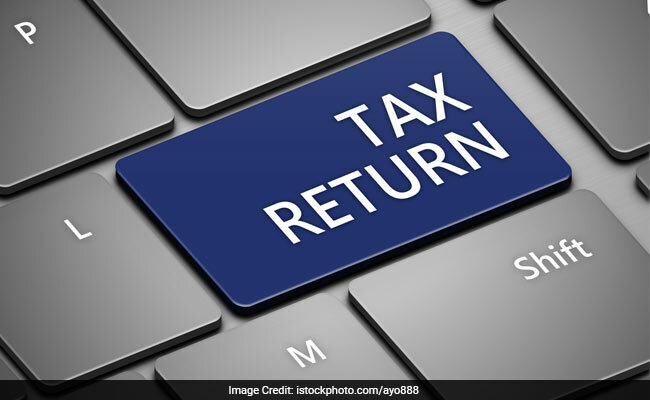 In fact many a times it is possible to claim back refund of the TDS, which has been deducted in advance by filing the Income Tax Return. We are here to assist you with the whole process of preparing and filing of Income Tax Return. We make your life hassle free by helping you file in the correct head, we also assist in availing of tax exemptions applicable to you and then helping you get refund of excess tax deducted by way of TDS (if applicable). 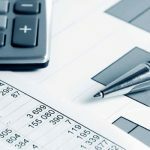 If you are a NRI, earning income from any source, such as, interest income, rental income, income from dividends or any other source and are looking for an expert to get started, we would love to assist you. Your Wait for Tax Refunds ends here, under this service, our tax experts having domain expertise, find out the reason for non-receipt of your legitimate refunds and would take up the case with the Income Tax Department and, if required, then present your case in a manner that will help in faster processing of refunds . Our Team, headed by senior CAs, will ensure that your returns are accurately prepared and filed on time. Every Income Tax Return file is checked for accuracy and completeness before submitting it to the Tax department. Everything that you enter goes through a robust system of checks designed by our tax experts. Any return that does not pass our checks is manually reviewed by our tax team to help our users file accurately. Our experts in India would prompt you for possible deductions and tax exemptions that you may have missed. This ensures that you get the maximum refund possible in the shortest possible time. Do get in touch if you are a NRI and need our assistance in getting your Income Tax Refund in India quickly. TDS stands for “Tax Deducted at Source”. It is considered as a type of advance tax. The government gets a particular tax amount as and when the transaction is made. TDS includes the amount which is subtracted by the payer and paid to the government. The payer has to file TDS return after paying TDS where he or she has to mention the PAN of the payee. For these declarations of payment certain forms have to be filled in by NRIs for TDS. These forms have some distinguishing and basic features and are based on various factors. If you are a NRI and need help in your TDS related matters in India, then please contact us and we will get in touch with you soon. Taxation on Sale of Property in India by NRIs (Non Resident Indians) is a confusing subject. This confusion is caused due to the lack of information and improper explanation. 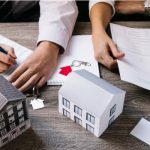 If you are a NRI, you are liable to pay Capital Gain Tax only on the Capital Gain arising out of the sale of property but, unfortunately, TDS is deducted on the total sale value of property in India. Further the normal TDS on sale of property for a Resident Indian is 1% of the total sale value, while for NRI/ PIO/OCI the TDS applicable is 20% + surcharge. Normally NRIs are not aware, therefore, they either pass themselves as resident Indian and the buyer deducts a TDS of 1% only or they have to undergo a whole process for reclaiming the refund of the excess TDS amount that has been deducted. Lower Deduction Tax Certificate is possible to be obtained by NRIs so that the TDS amount is equivalent to capital gains tax that NRIs are liable to pay. We assist you with the necessary planning that comes before the sale of property in India and help you understand what needs to be done and how. We also assist you through the whole procedure for applying for a lower deduction TDS Certificate for property sale. If you want to get the lower deduction TDS Certificate for Property Sale, get in touch with us and we will be there to guide you. There was a time when money could not be transferred abroad from India without NRIs going through a lot of difficulties. However, things have changed for the better. Money that is legally owned and accounted for can be easily remitted abroad from India through normal banking channels in a safe and legal manner. Foreign Exchange Management Act (FEMA) allows you to transfer/invest in Indian currency or any immovable property situated in India, if you were a resident of India at the time of its ownership or if you inherited the same from a resident of India. But there are certain compliances that need to be completed and forms that need to be filled before you can repatriate the funds abroad. Similarly while bringing the money into India there might be RBI compliances that need to be completed. We make it easier for you by guiding you with the do’s and don’ts of FEMA and assist you throughout the whole process. If you are a NRI who needs help with FEMA compliances, please don’t hesitate to get in touch with us. Under FEMA a NRI can repatriate any funds in NRE account but there are certain restrictions in the amount of money that can be repatriated in a given financial year from NRO accounts. Even for repatriation of funds, upto USD 1 MM, one needs to pay the Income Tax, then get Form 15 CA/ 15 CB and fill bank forms, and then submit source of funds and proof of tax payment, before these funds can be repatriated abroad in your overseas bank account. The whole process of obtaining CA certificates, paying applicable taxes, and filling of forms is a cumbersome process which includes online and offline filling of forms. It is always advisable to seek the help of experts in India to manage such a tedious process in a limited time. This is where we come in! We assist you and guide you throughout the procedure, from the start to the finish. If you need help in RBI approvals for repatriation of funds in India, then please reach out to us. According to the new rule of SEBI, any NRI not having a PAN card cannot do the share trading by a depository or a broker. PAN is also mandatory for a NRI, if he/she would like to invest in Mutual Funds. The application of a PAN card in India is a long procedure that involves submission of the right forms filled correctly with the supporting documents and making the required payment by a NRI. We assist you with the entire procedure of application and allotment of PAN card in India. If you are a NRI who needs us to help you in the process of application and allotment of PAN card in India, please contact us and we would be happy to help you.